Warwickite: Mineral information, data and localities. 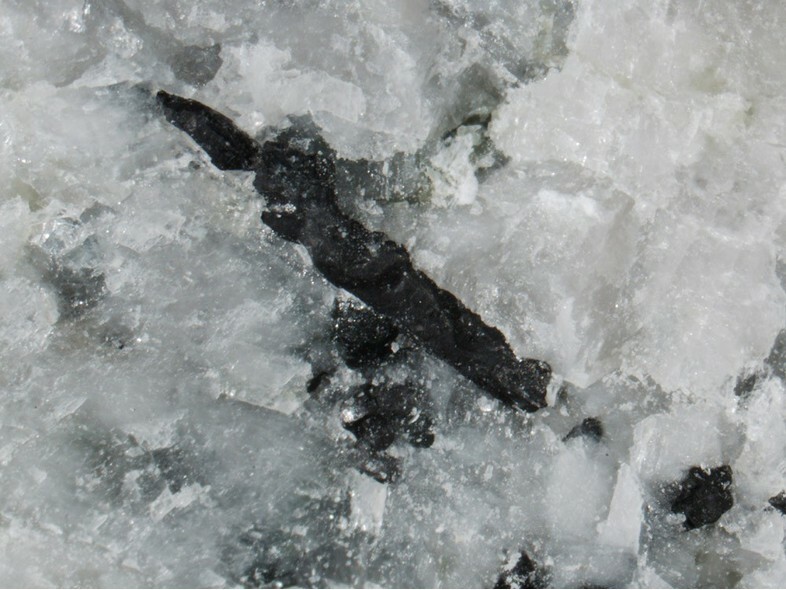 Initially found as small, rough, prismatic crystals in white Franklin marble. 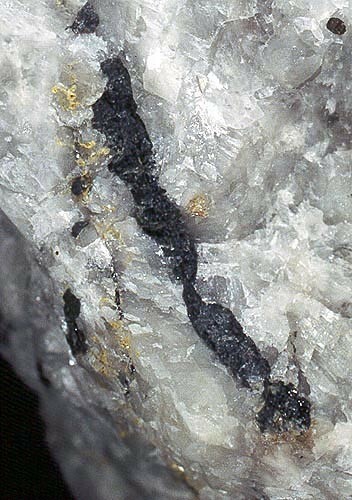 Slender prismatic crystals, terminations rounded. Occurs in a metamorphosed, crystalline, Precambrian marble (the Franklin Marble). Sanidine 8 photos of Warwickite associated with Sanidine on mindat.org. Armalcolite-Pseudobrookite Series 4 photos of Warwickite associated with Armalcolite-Pseudobrookite Series on mindat.org. Enstatite 4 photos of Warwickite associated with Enstatite on mindat.org. Fluorophlogopite 3 photos of Warwickite associated with Fluorophlogopite on mindat.org. Pseudobrookite 2 photos of Warwickite associated with Pseudobrookite on mindat.org. Hematite 2 photos of Warwickite associated with Hematite on mindat.org. Spinel 2 photos of Warwickite associated with Spinel on mindat.org. Tridymite 2 photos of Warwickite associated with Tridymite on mindat.org. Phlogopite 2 photos of Warwickite associated with Phlogopite on mindat.org. Dolomite 1 photo of Warwickite associated with Dolomite on mindat.org. Shepard (1838), American Journal of Science: 34: 313-315. Shepard (1839), American Journal of Science: 36: 85. Hunt (1846) American Journal of Science: 2: 30 (as Enceladite). Hunt (1851) American Journal of Science: 11: 352. Des Cloizeaux, A. (1874) Manuel de minéralogie. 2 volumes and Atlas, Paris. volume 2, 1 Fasc., 208pp. (1874); 2 Fasc., pp 209-544 (1874/93): 16. Smith (1874) American Journal of Science: 8: 432. Lacroix (1886) Bulletin de la Société française de Minéralogie: 7: 74. Dana, E.S. (1892) System of Mineralogy, 6th. Edition, New York: 881. Bradley (1909) American Journal of Science: 27: 179. Larsen, E.S. (1921) The Microscopic Determination of the Nonopaque Minerals, First edition, USGS Bulletin 679: 156. The Minerals of New York City & Its Environs, New York Mineralogical Club Bull., Vol. 3, No. 1, Manchester, J.G. (1931): 96. Takeuchi, Watanabe and Ito (1950) Acta Crystallographica: 3: 98. Palache, C., Berman, H., & Frondel, C. (1951), The System of Mineralogy of James Dwight Dana and Edward Salisbury Dana, Yale University 1837-1892, Volume II. John Wiley and Sons, Inc., New York, 7th edition, revised and enlarged: 326-327. American Mineralogist (1974): 59: 985-1004. Mineralogical Magazine (1997): 61: 693-698.
ⓘ St Dizier mine ? Kwak, T.A.P., and Nicholson, M. (1988): Mineralogical Magazine 52, 713-716. Sabina, A.P. (1986) Rocks and Minerals for the Collector, Bancroft-Parry Sound area and Southern Ontario. Geological Survey of Canada, Miscellaneous Report 39, 1986, 182p. Sabina, A.P. (1982) Some rare minerals of the Bancroft [Ontario] area. Mineralogical Record Vol.13, No. (4) July - August, p.226. Schreyer, W., Pertsev, N.N., Medenbach, O., Burchard, M., and Dettmar, D. (1998) Pseudosinhalite: discovery of the hydrous MgAl-borate as a new mineral in the Tayozhnoye, Siberia, skarn deposit. Contributions to Mineralogy and Petrology: 133: 382-388.; Jambor, J.L., Pertsev, N.N., and Roberts, A.C. (1999) New mineral names. American Mineralogist: 84: 1195-1198. Bowden, P., von Knorring, O. and Bartholemew, R.W. (1969). Sinhalite and serendibite from Tanzania. Mineralogical Magazine, 37, 145-147. The Minerals of New York City & Its Environs, New York Mineralogical Club Bull., Vol. 3, No. 1, Manchester, J.G. (1931): 63. George Robinson & Steven Chamberlain (2007) Gazetteer of major New York State mineral localities. Rocks & Minerals, 82, #6, 472-483. Shepard, 1838; AM:59(1974):985; The Minerals of New York City & Its Environs, New York Mineralogical Club Bull. Vol. 3, No. 1, Manchester, J.G. (1931): 96. Lupulescu, M.V., Rowe, R., Bailey, D., Hawkins, M. (2013) Chernikovite, Fe-free warwickite, and dissakisite-(Ce) from New York state, USA. 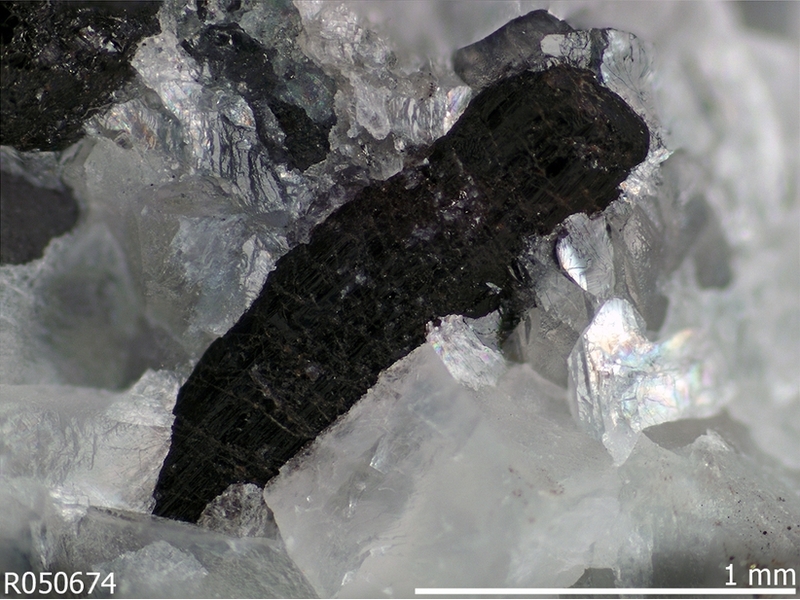 The 40th Rochester Mineralogical Symposium, Contributed Papers in Specimen Mineralogy, 20-21.